Happy Saturday! I hope this finds everyone having a great day so far and I hope you are finding time to spend in your craft rooms. Today’s card was done using some products from the Sale-a-bration catalog. I just love everything in this year’s Sale-a-bration catalog! And the best part, I was able to get all of these products free for every $50 I spent! And you can too! Sale-a-bration is going on until March 31st, so you have time to get yourself some of this great stuff too. 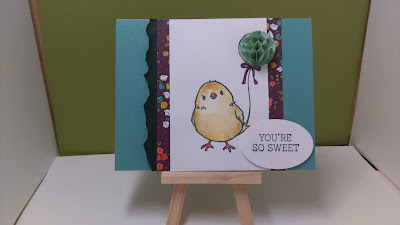 I created this card for a sketch challenge that is taking place over on my Facebook page, www.facebook.com/snsfromtheheart - you should see the great ideas going on over there, stop by when you have a minute and take a look! 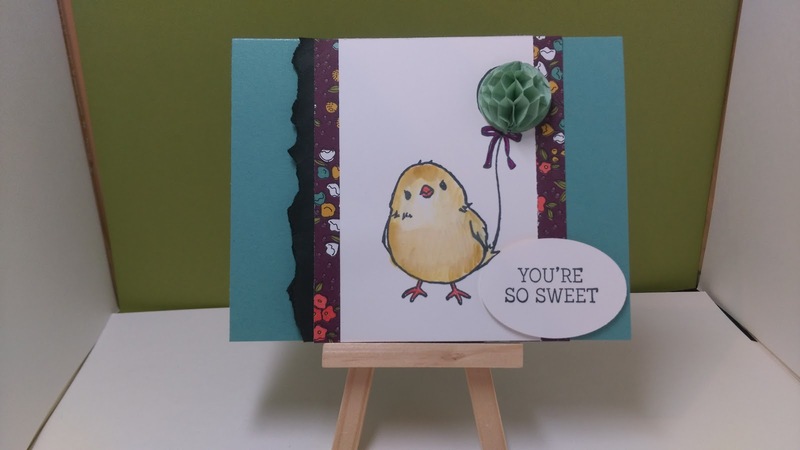 Anyway, today’s card uses the Sale-a-bration stamp set, Honeycomb Happiness and Sale-a-bration paper, Wildflower Fields DSP along with the Honeycomb Embellishments found in the Occasions catalog. I love this stamp set, I find it to be sooooooo cute! So, what do you think? Please let me know by leaving a comment below. I also want to remind you that today is the final day to place an order with hostess code AZHFKHGX . All orders of $30 or more before shipping and tax will be entered to win the hostess rewards.